Bang: Game on! You have 30 seconds to grab the reader’s attention – then fight to retain it. Key to success? Written communication skills. Infuse your products with clarity, focus, direction, and purpose. Powerful writing begins with crafting a hard-hitting message, then refined at the sentence-level to make each word count and every second of the reader’s time play to your advantage. Leverage words to your advantage – Carla shows how to improve written communication skills in her book and workshops! Tailored for individual, corporate, academic, government, and military organizations. 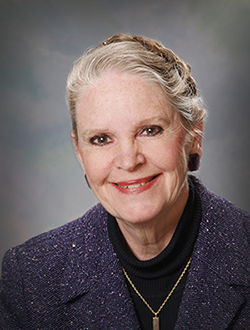 Judith A. Sprieser, Non-Executive Director Allstate Corporation, InterContinental Exchange Inc., and Reckitt Benckiser plc. 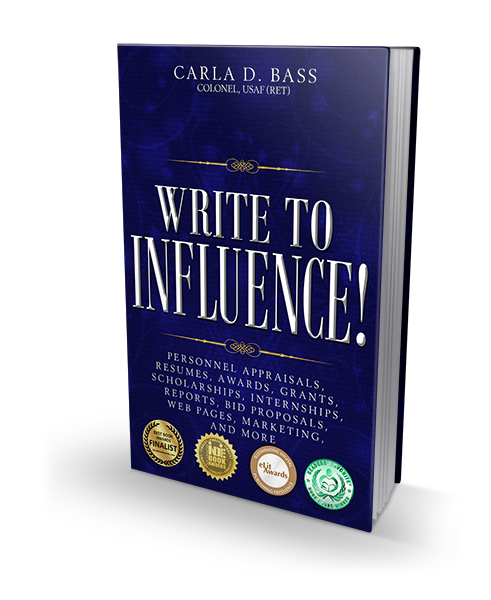 Carla D. Bass, Colonel, USAF (Ret), brings decades of experience writing powerfully for leaders at the highest levels of the U.S. military and government to a variety of highly acclaimed workshops that can be tailored to your needs. Learn about Carla’s customized one hour to two full day workshops: interactive, fun, and effective!